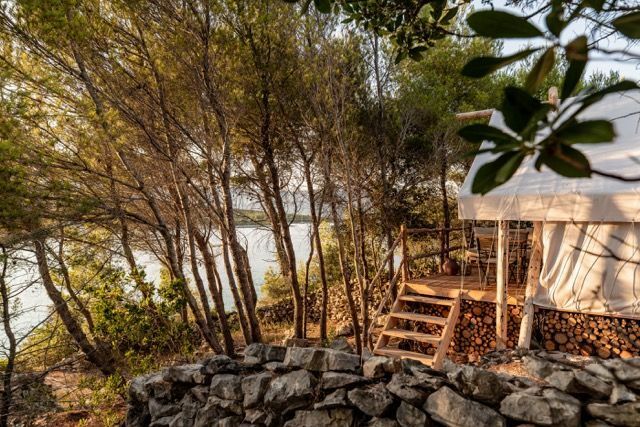 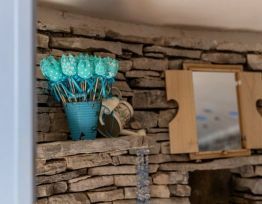 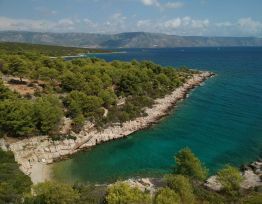 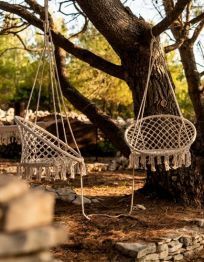 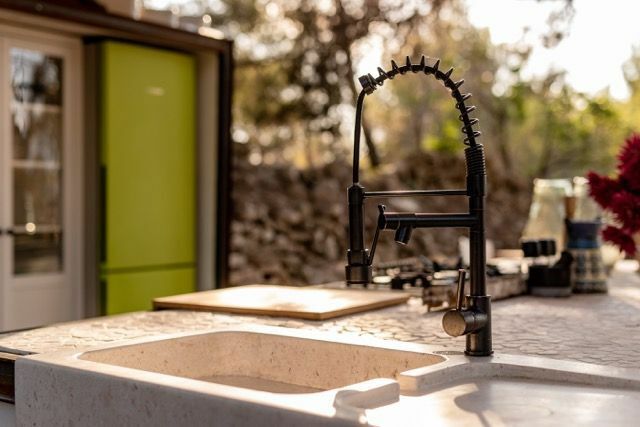 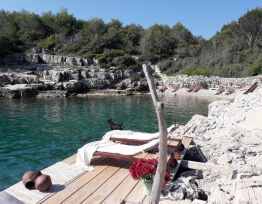 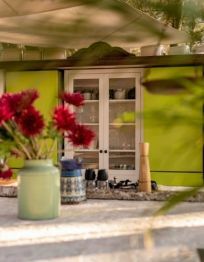 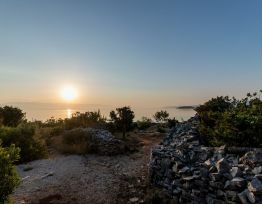 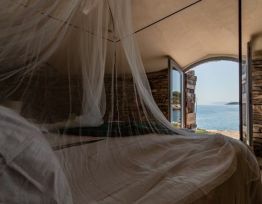 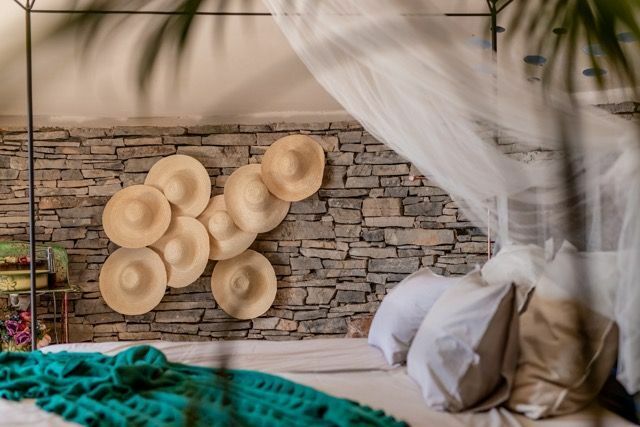 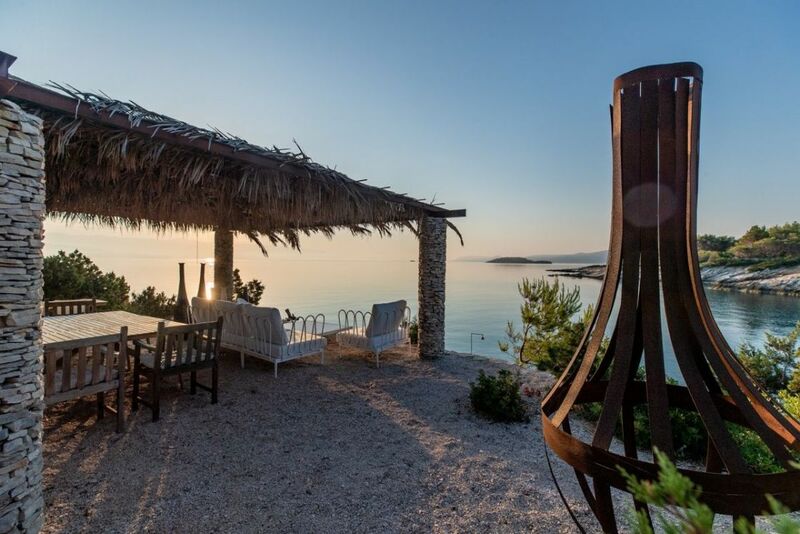 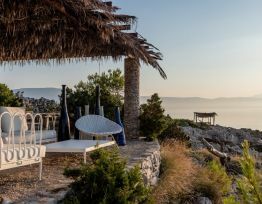 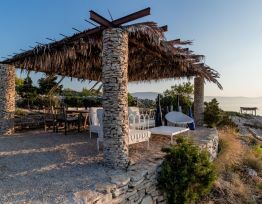 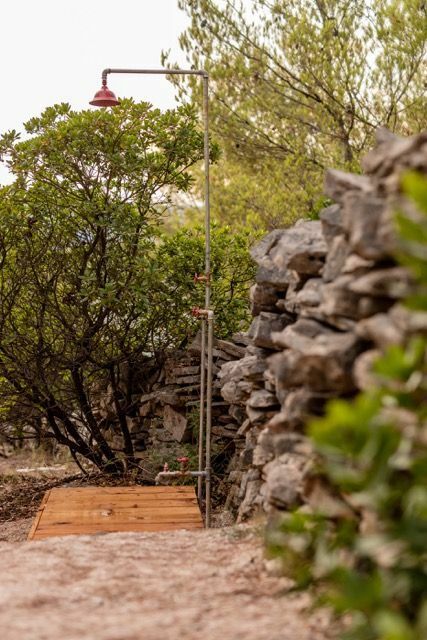 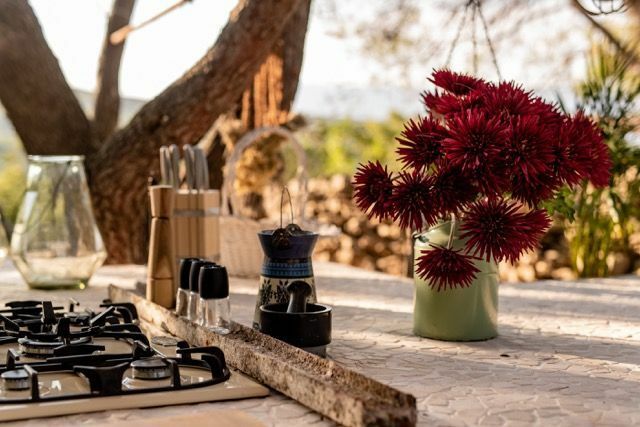 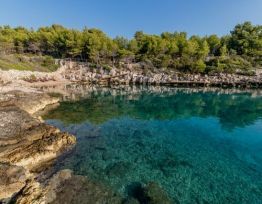 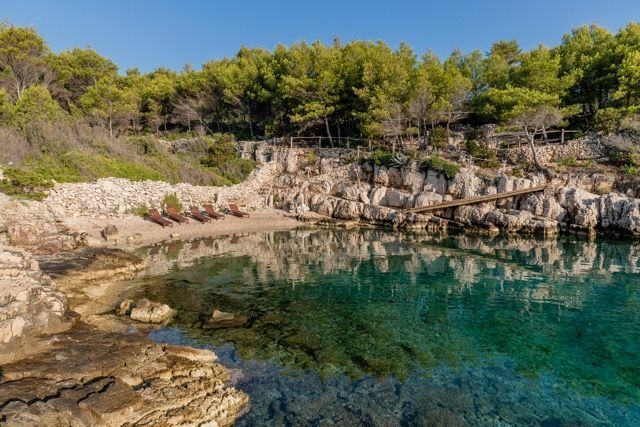 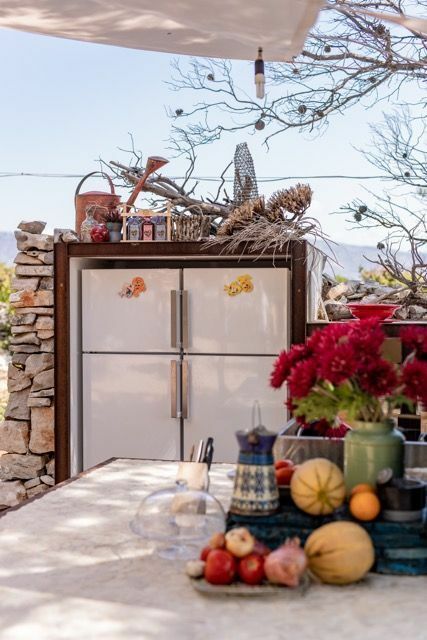 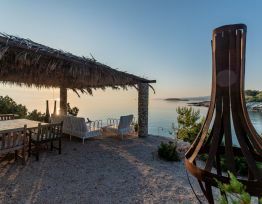 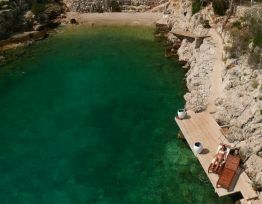 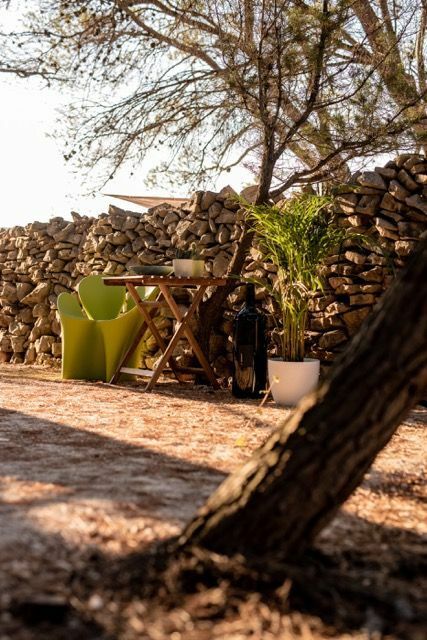 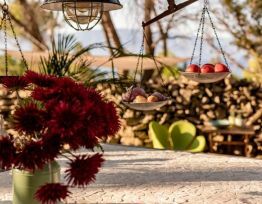 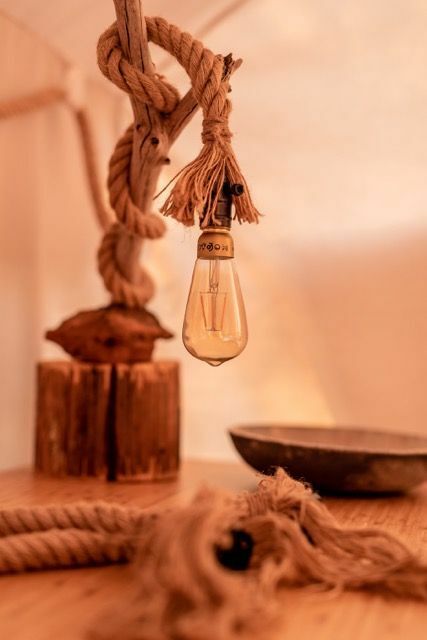 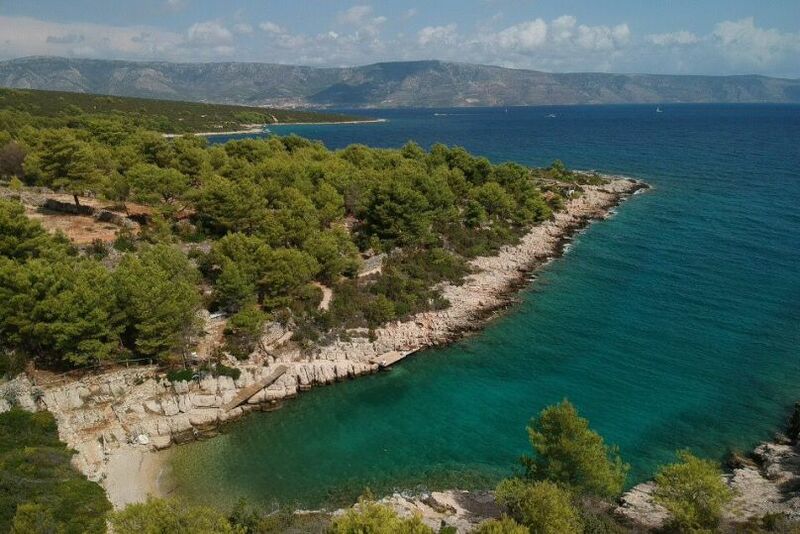 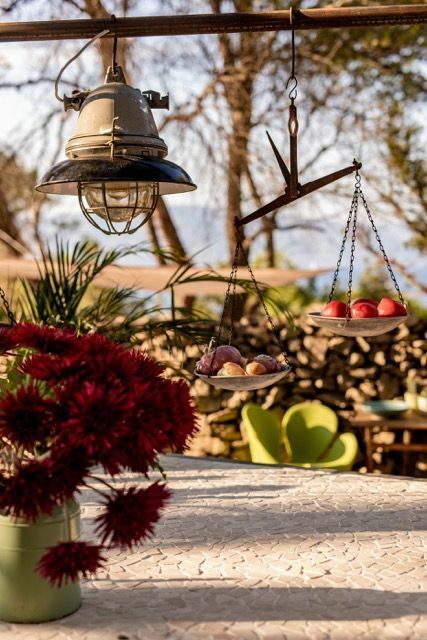 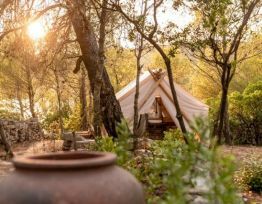 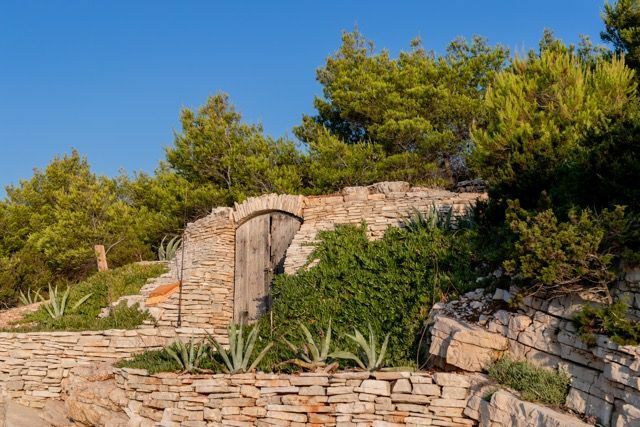 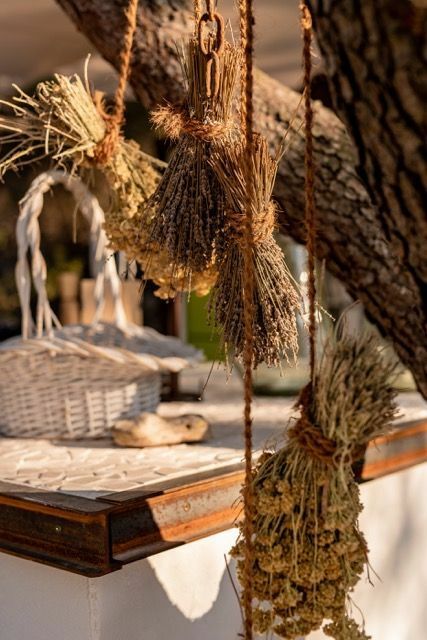 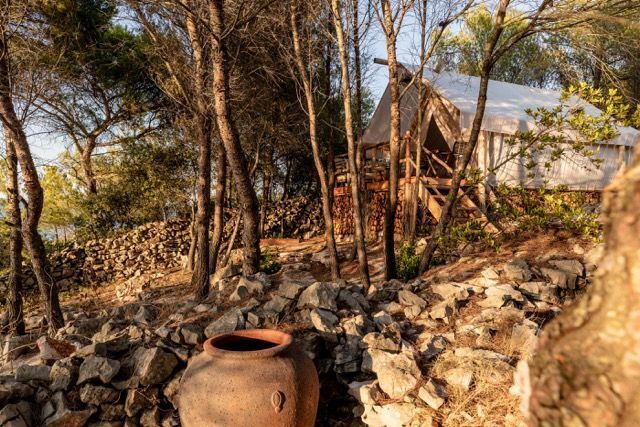 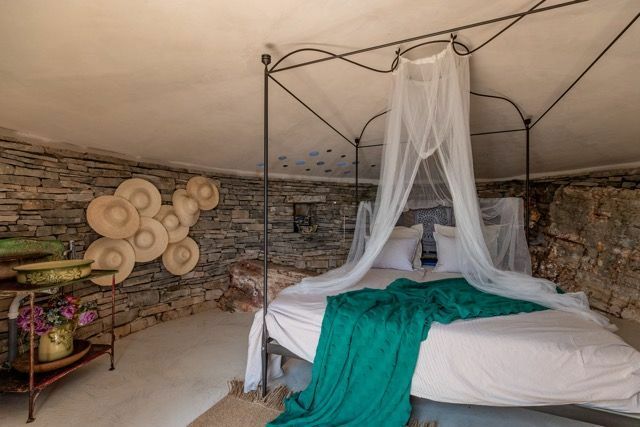 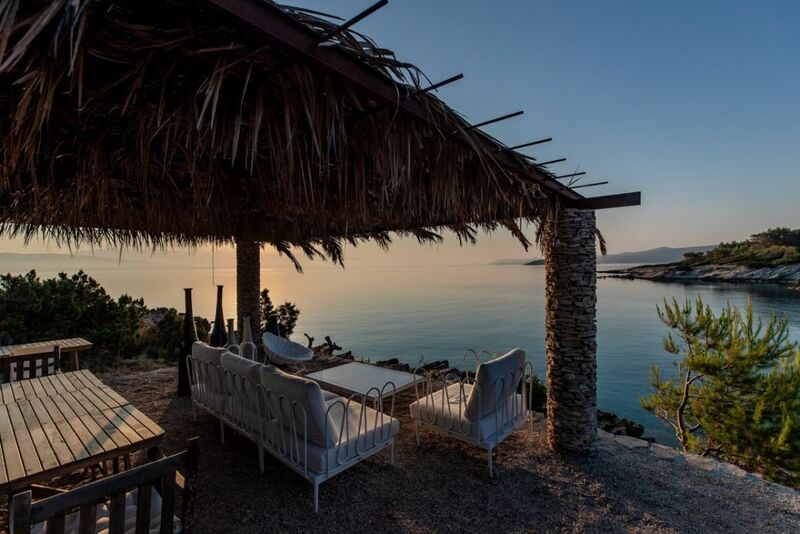 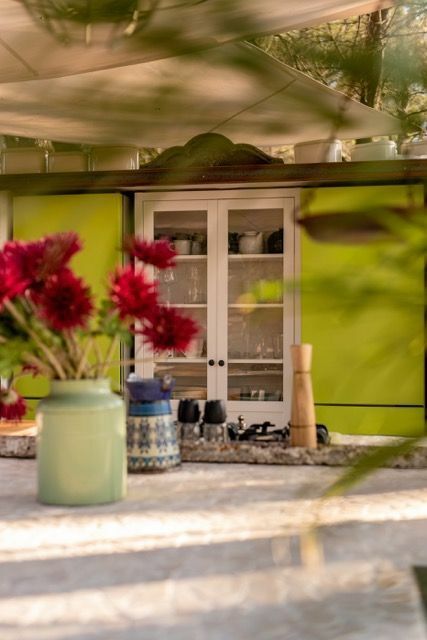 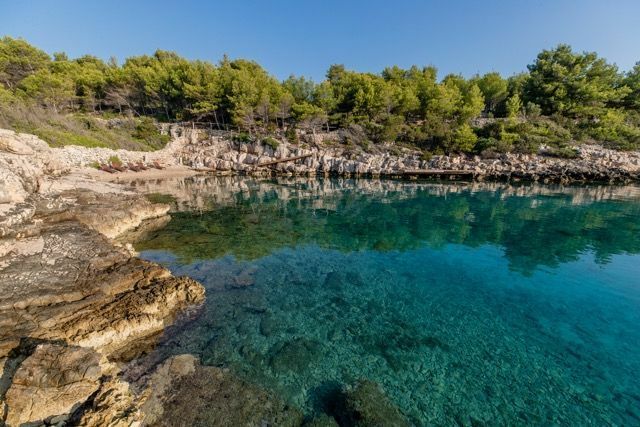 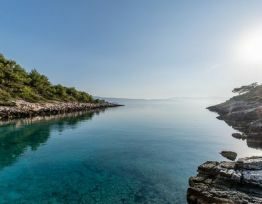 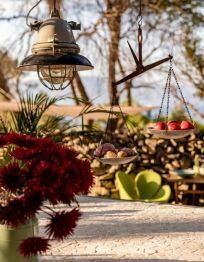 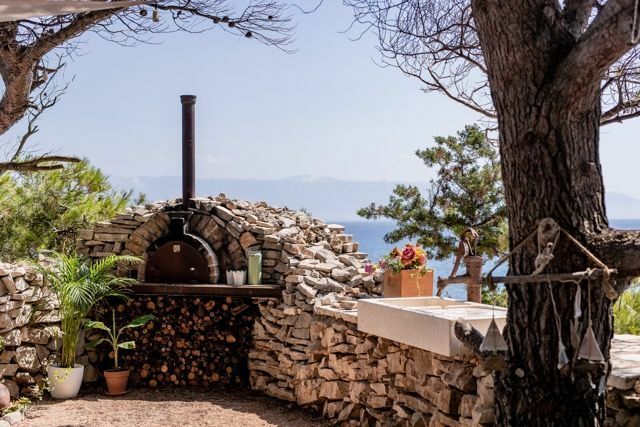 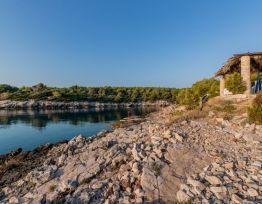 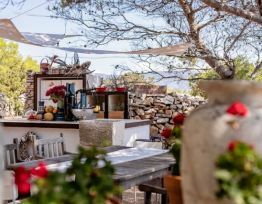 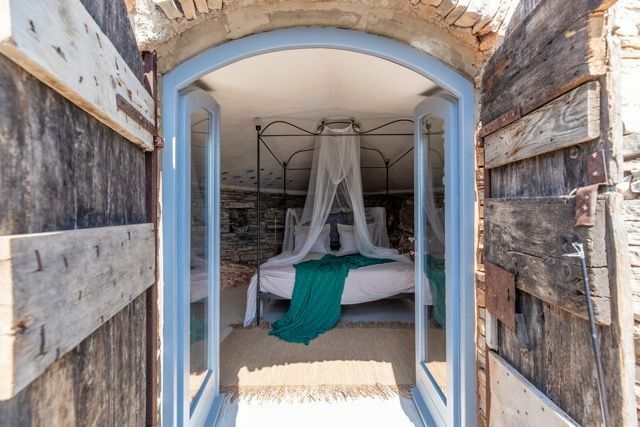 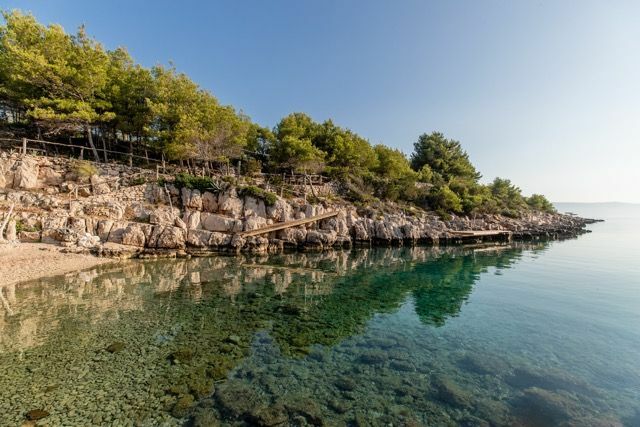 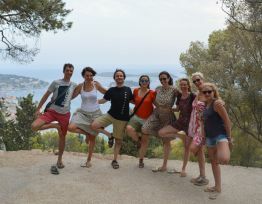 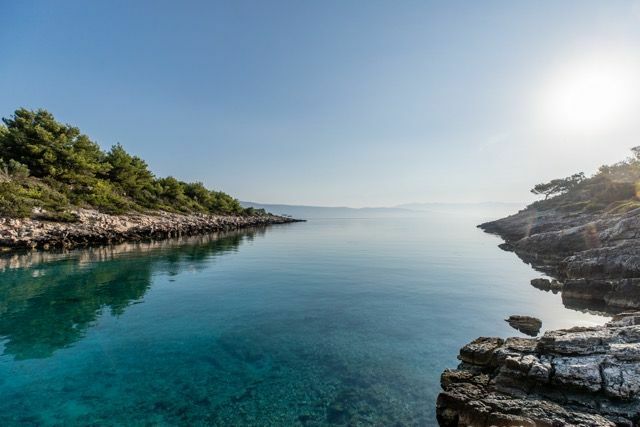 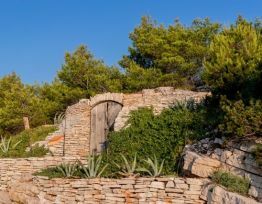 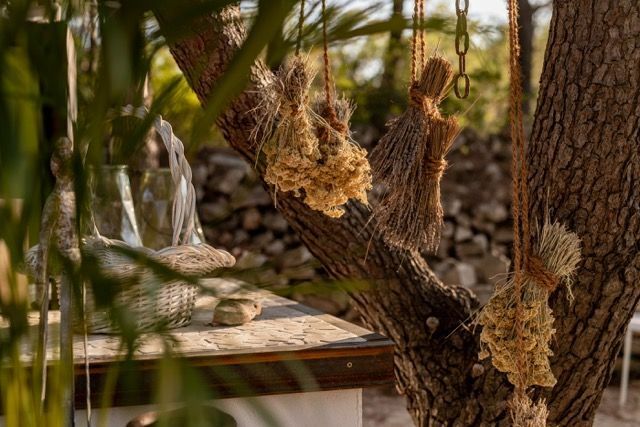 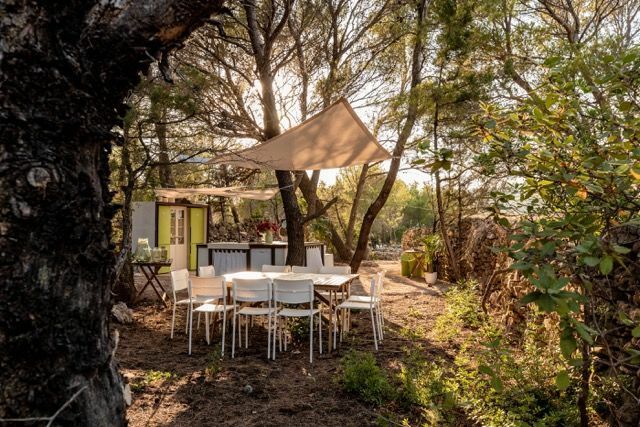 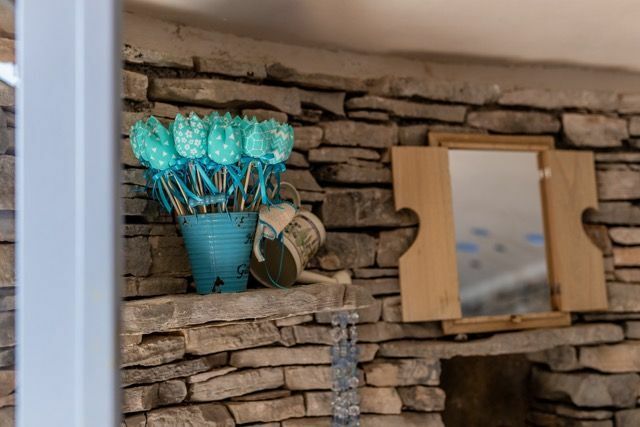 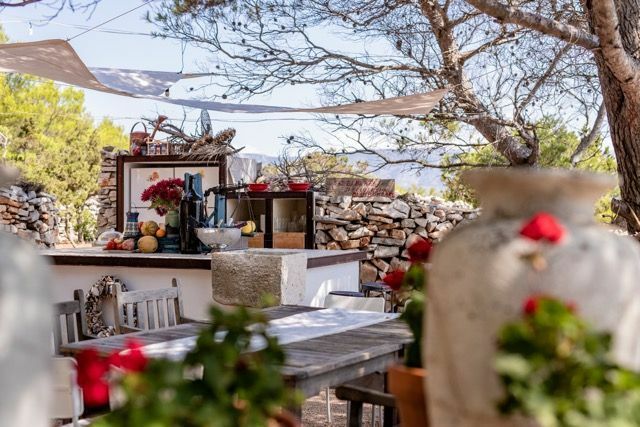 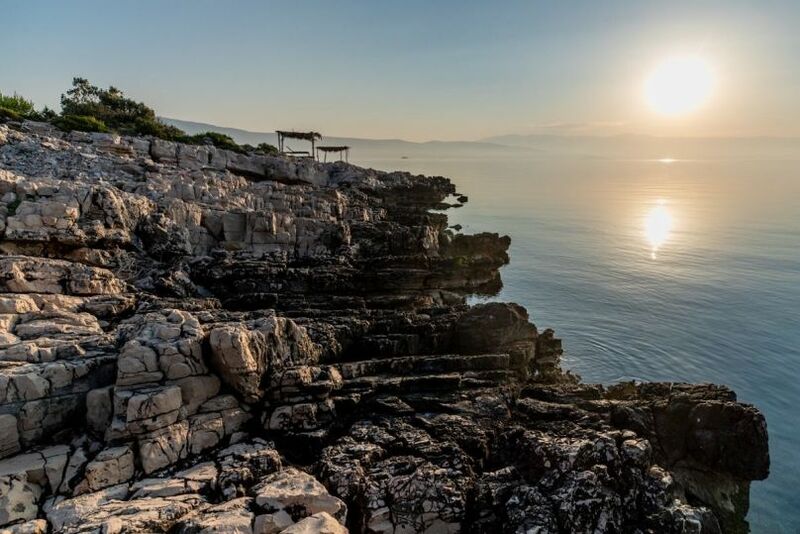 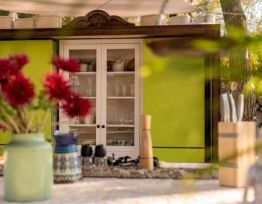 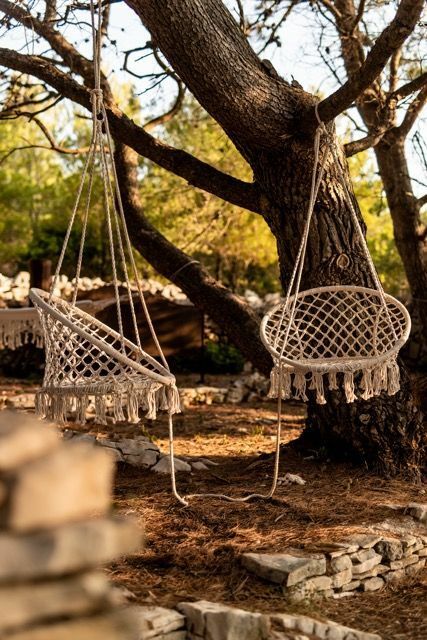 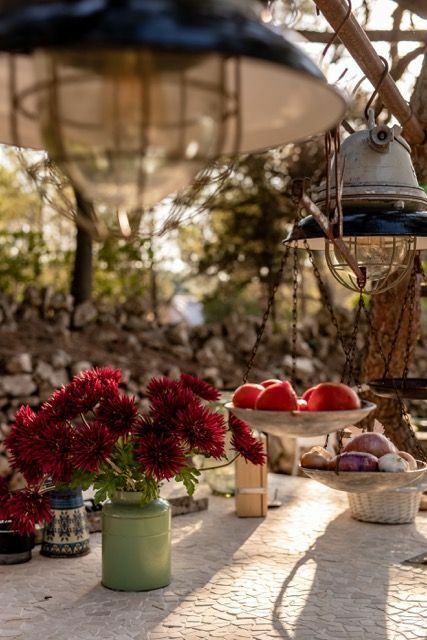 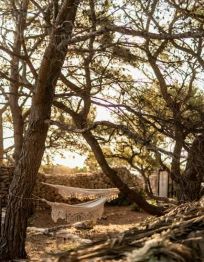 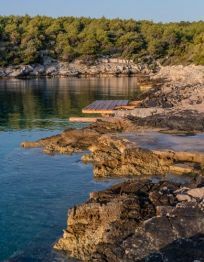 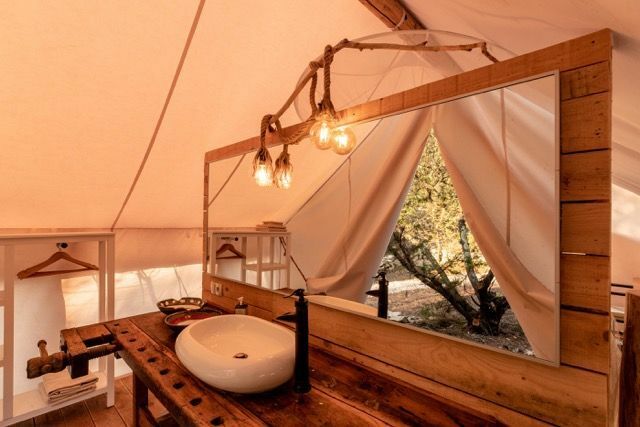 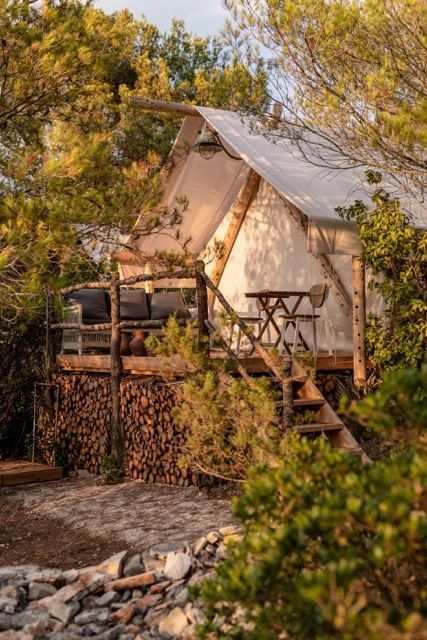 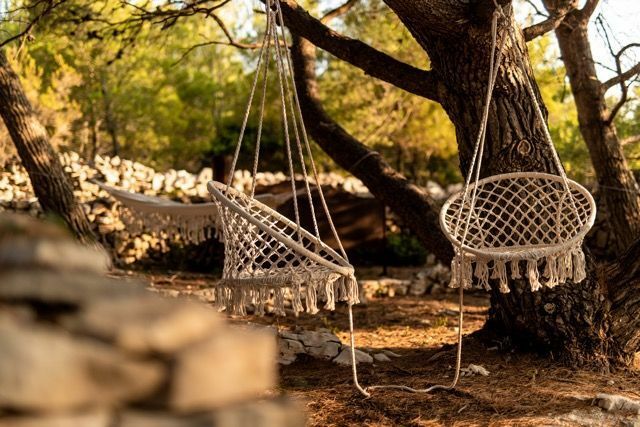 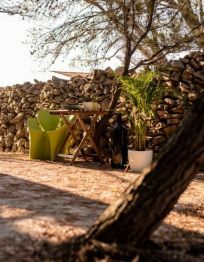 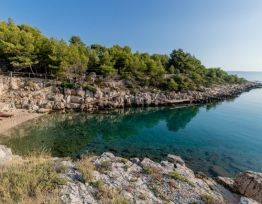 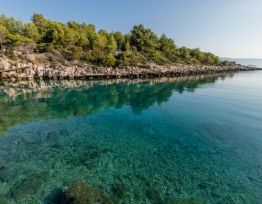 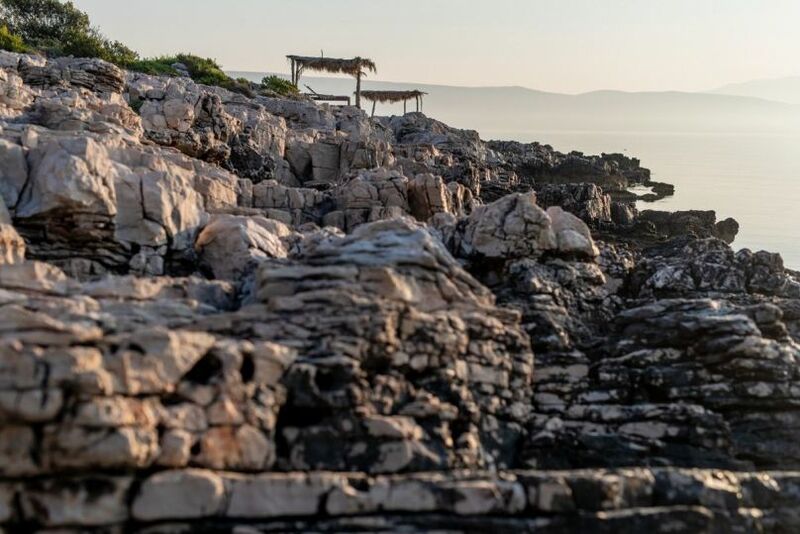 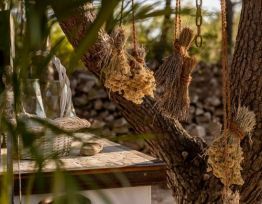 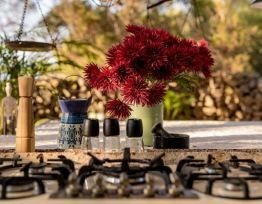 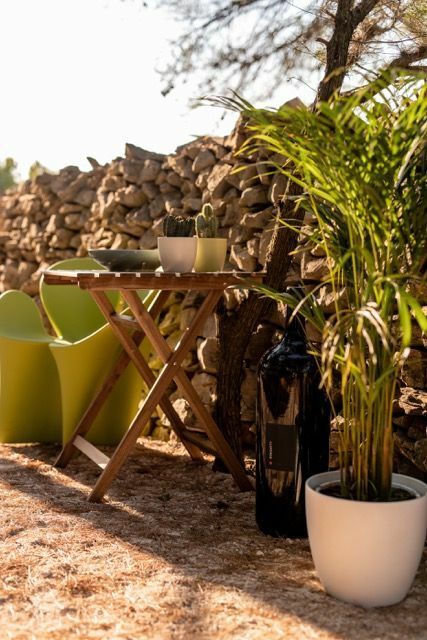 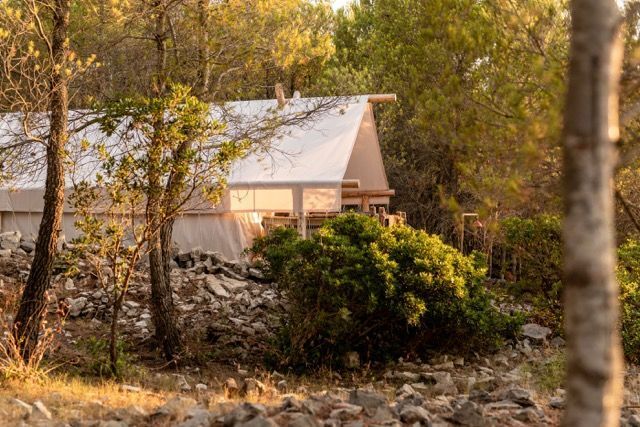 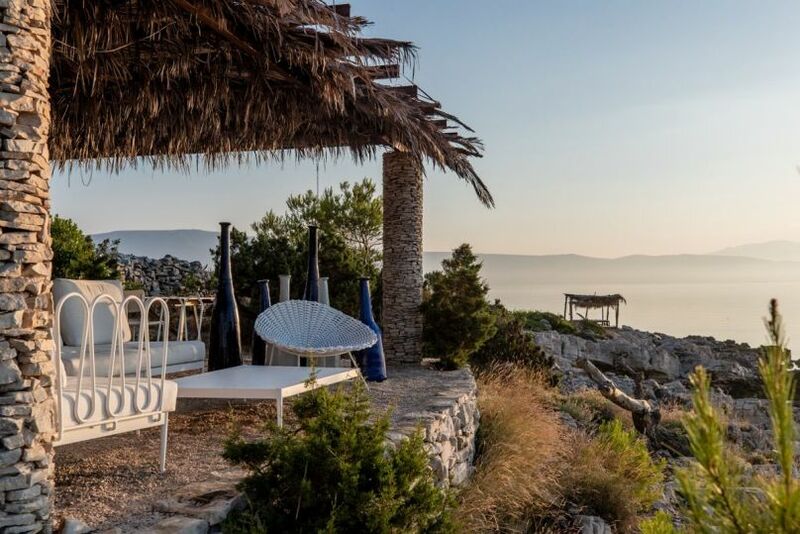 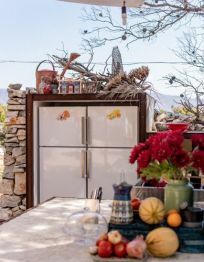 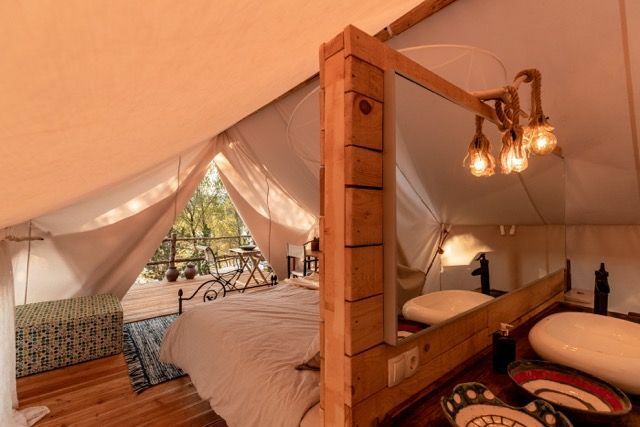 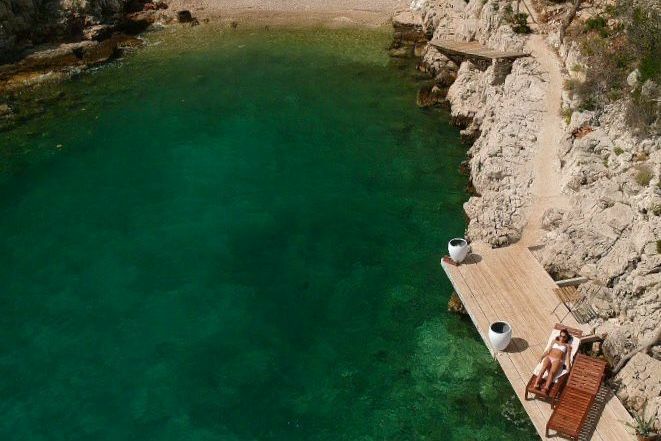 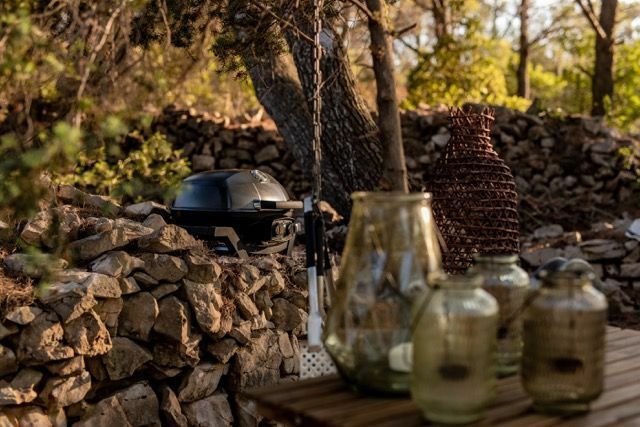 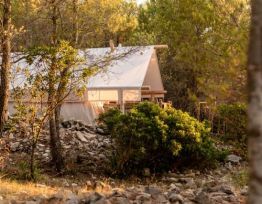 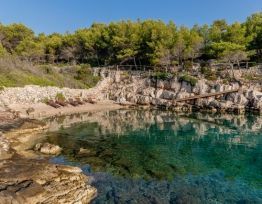 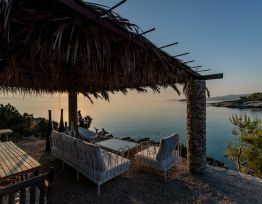 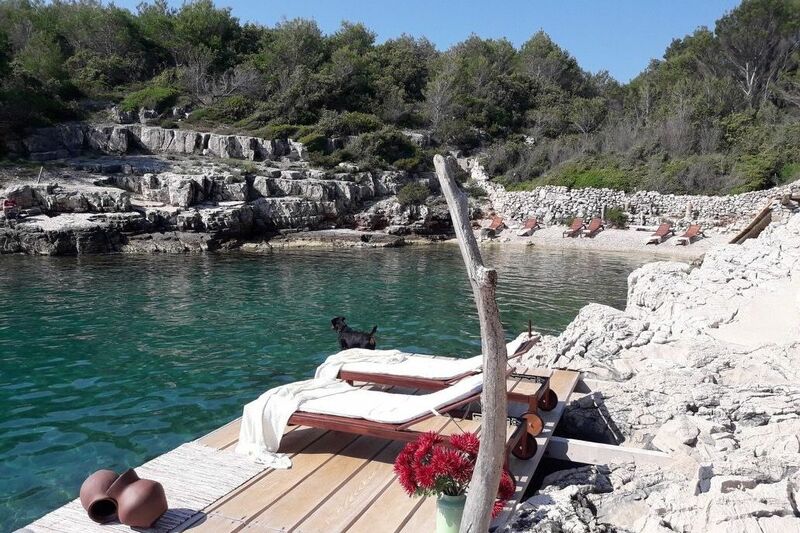 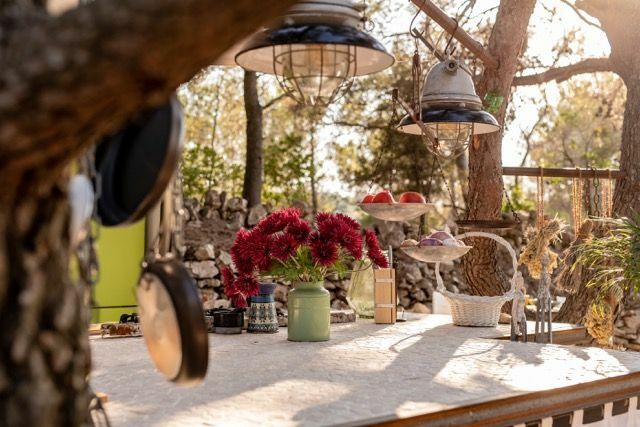 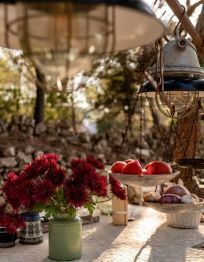 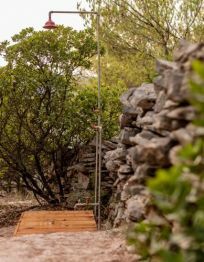 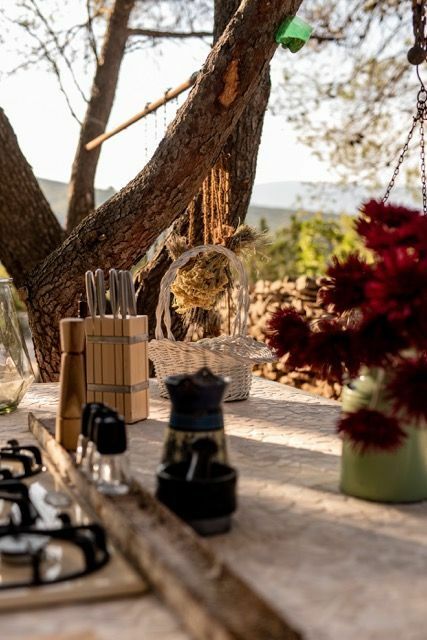 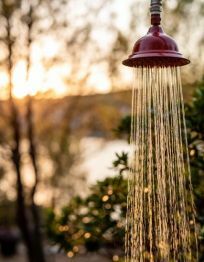 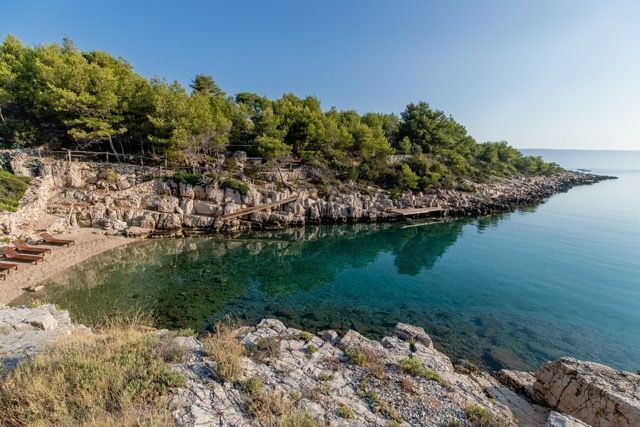 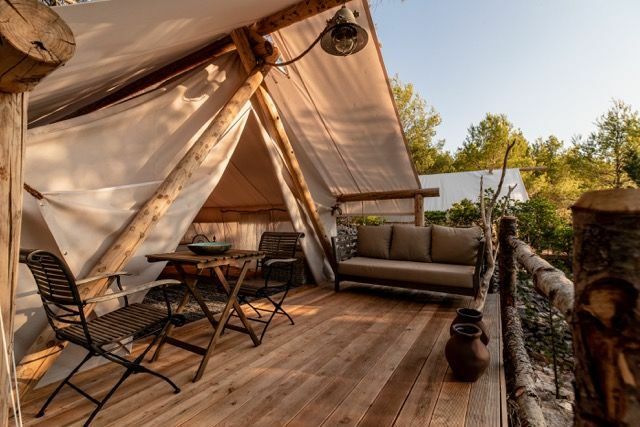 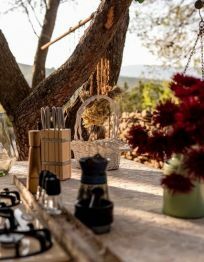 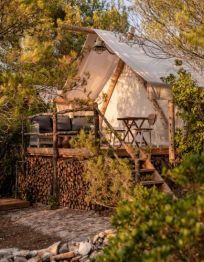 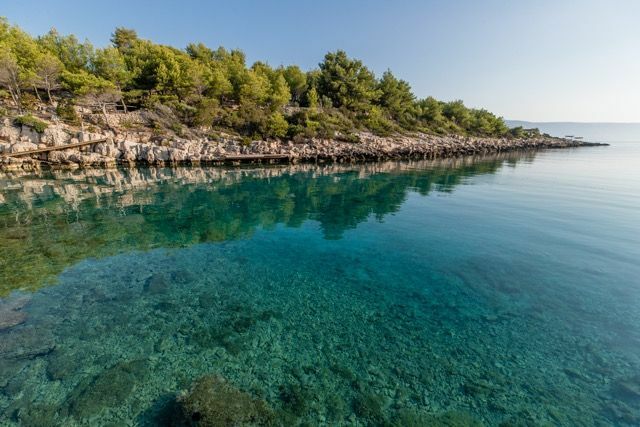 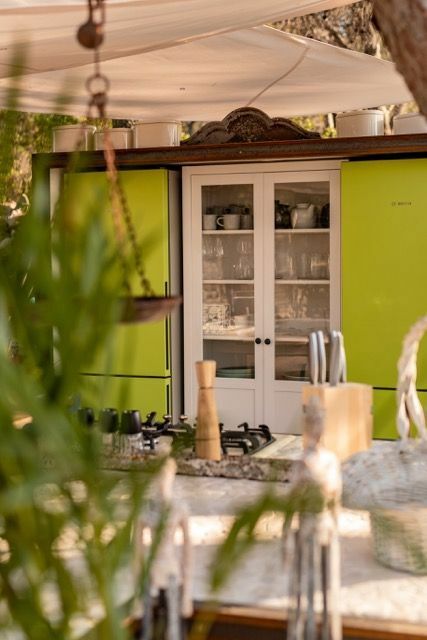 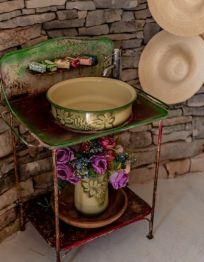 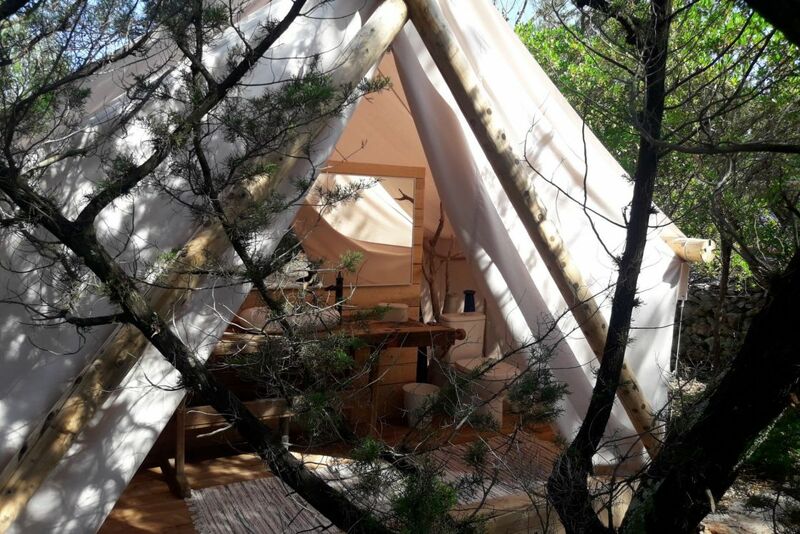 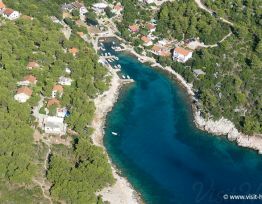 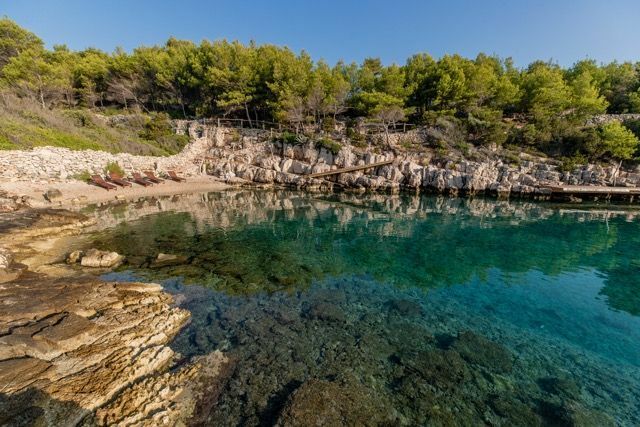 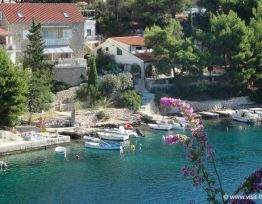 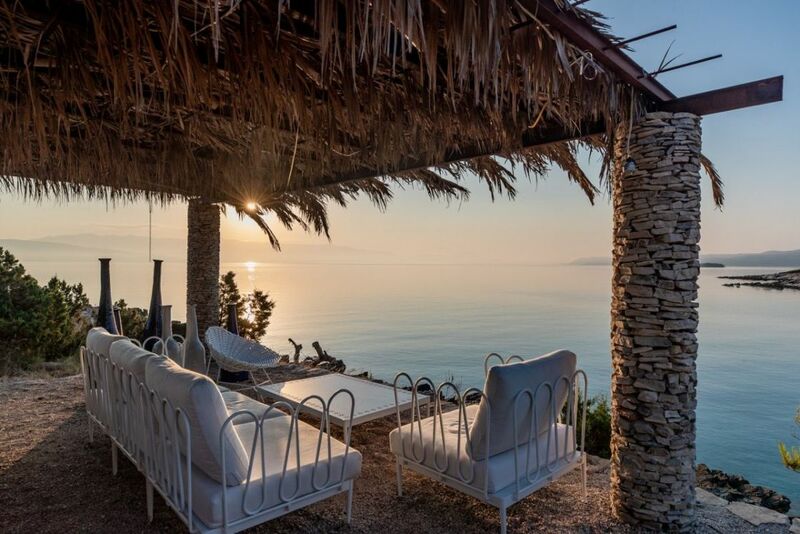 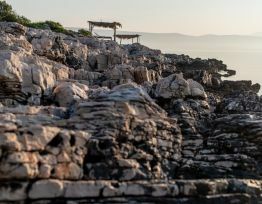 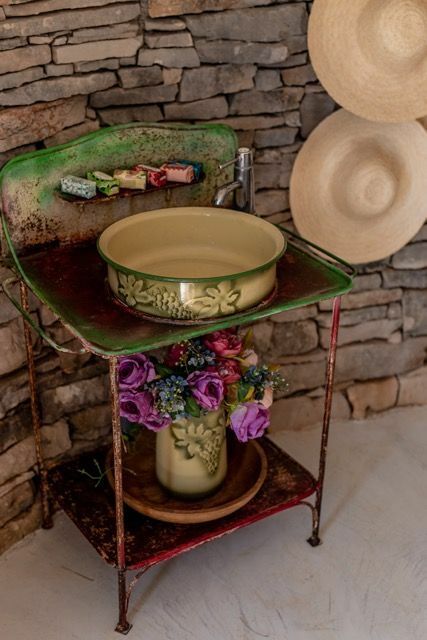 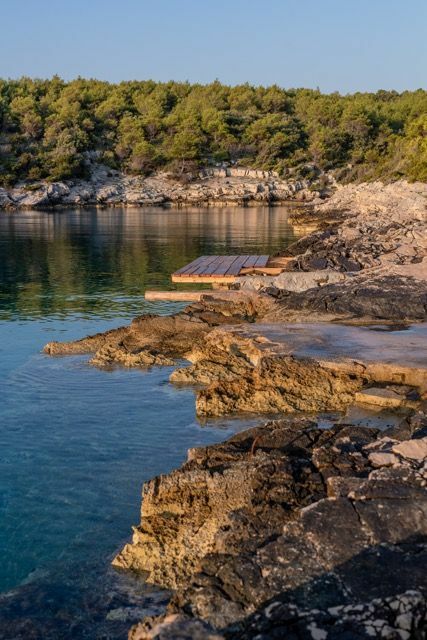 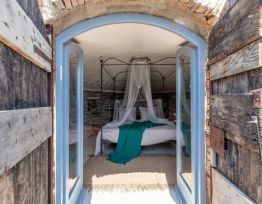 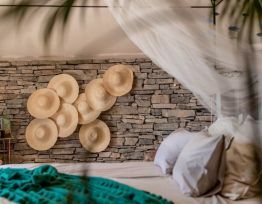 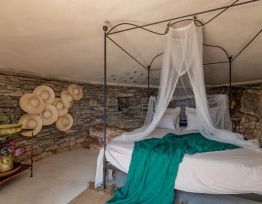 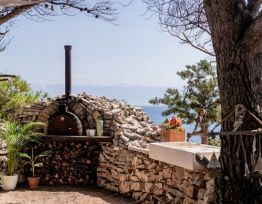 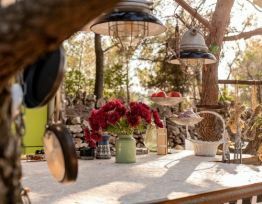 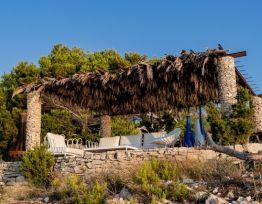 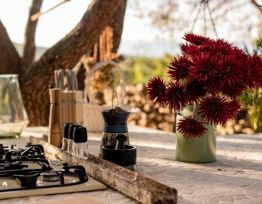 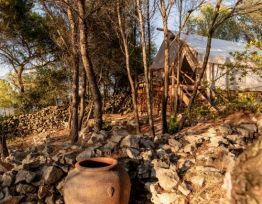 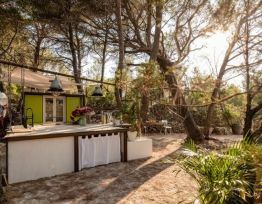 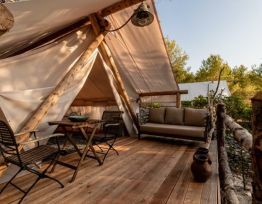 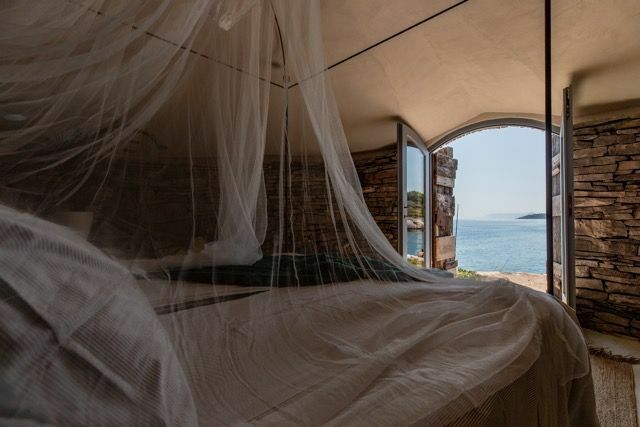 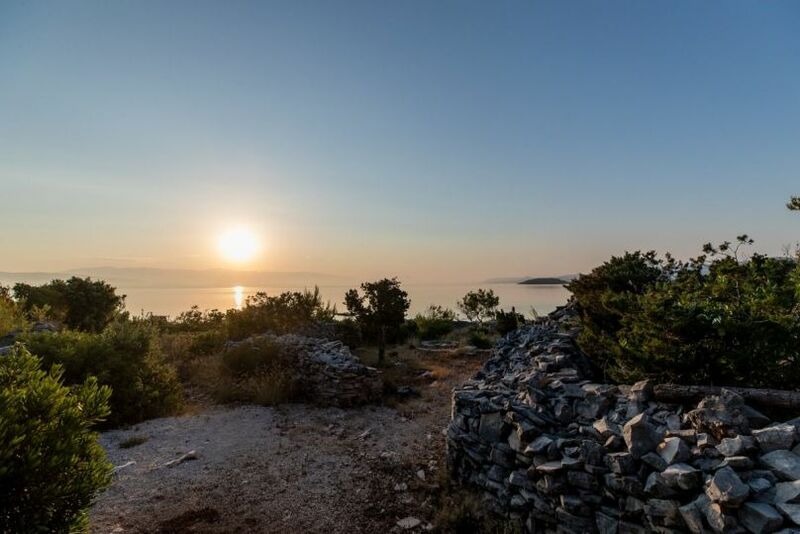 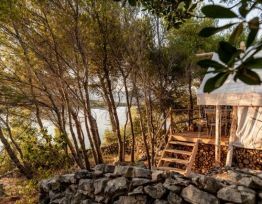 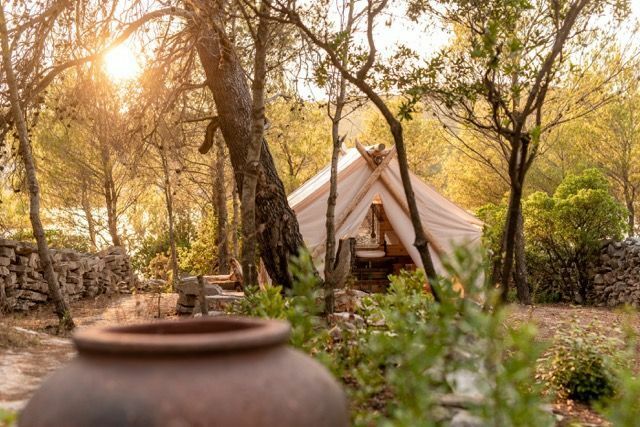 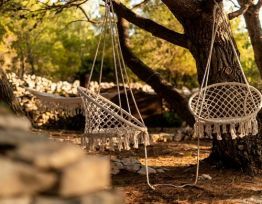 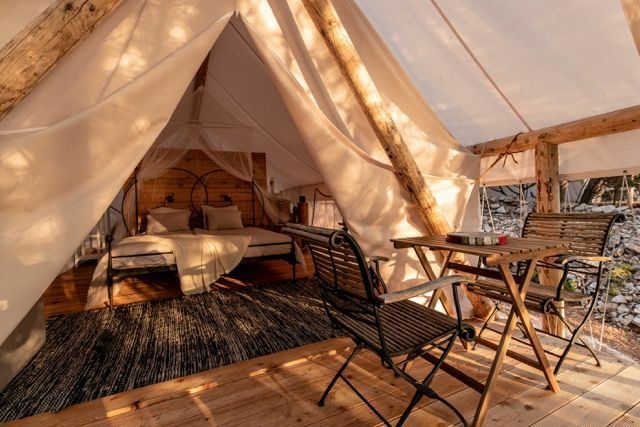 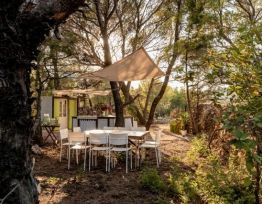 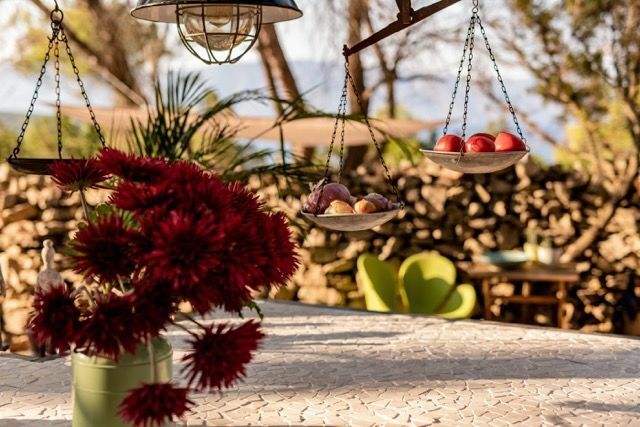 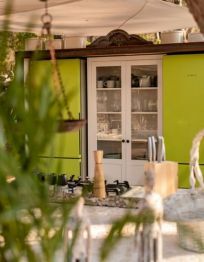 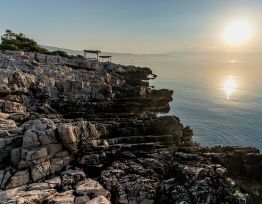 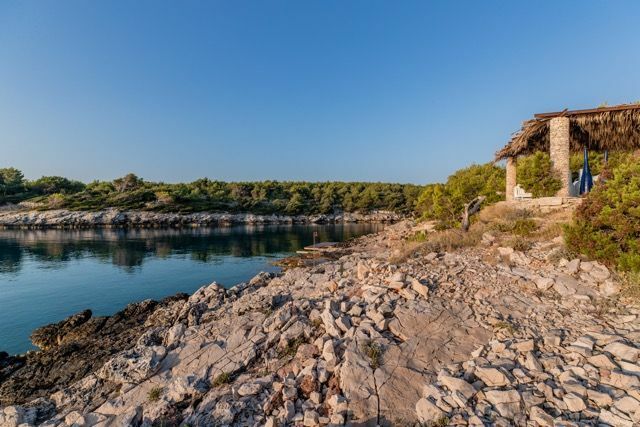 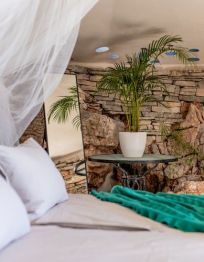 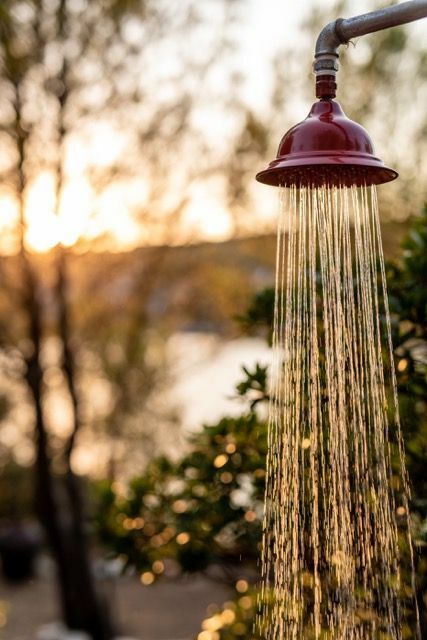 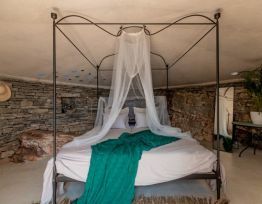 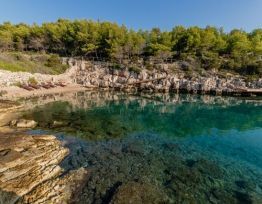 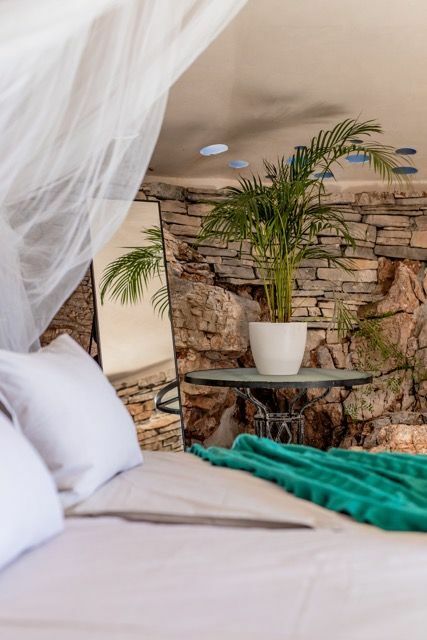 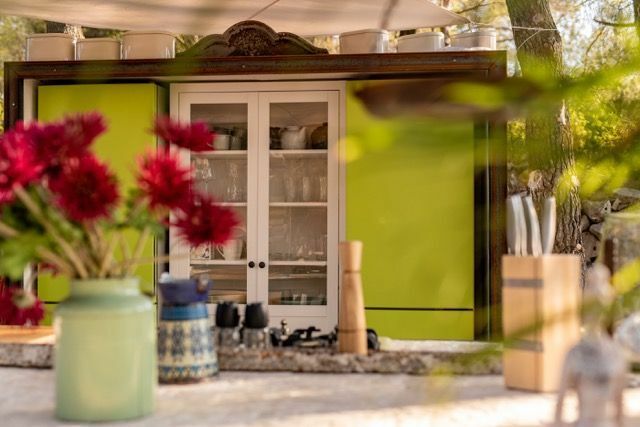 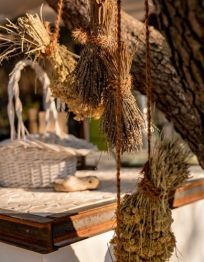 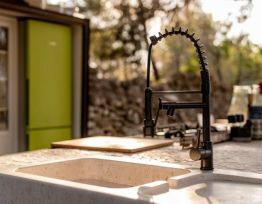 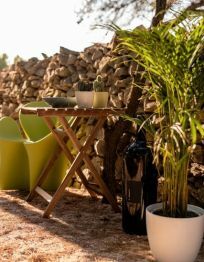 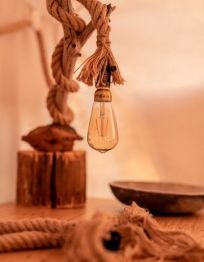 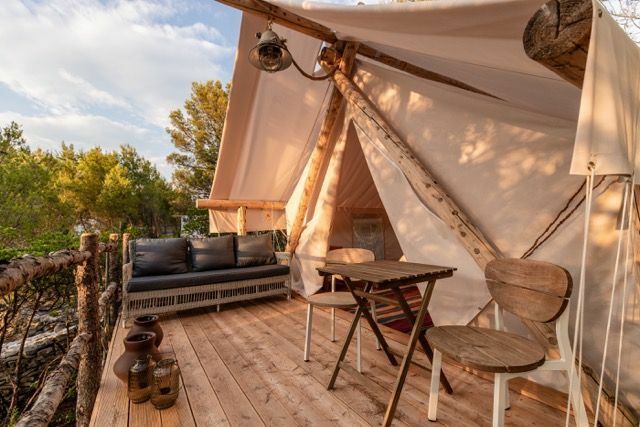 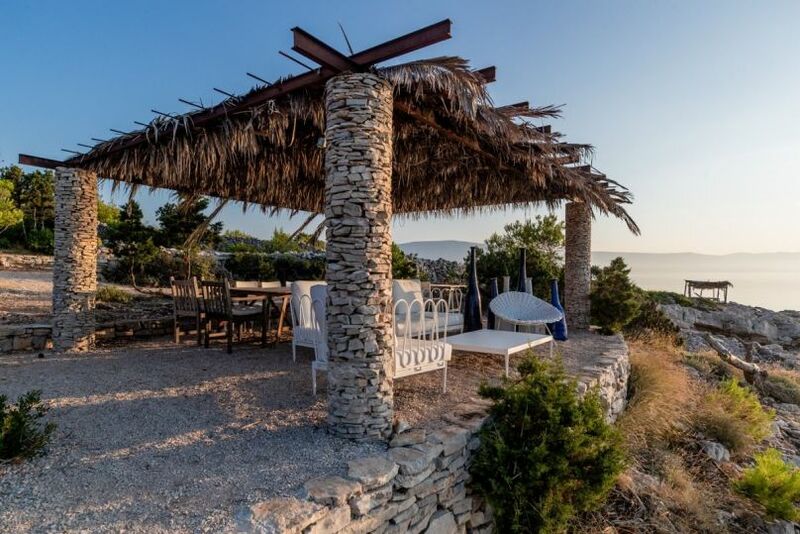 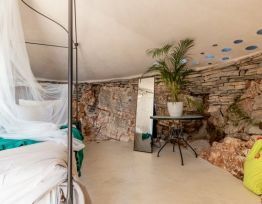 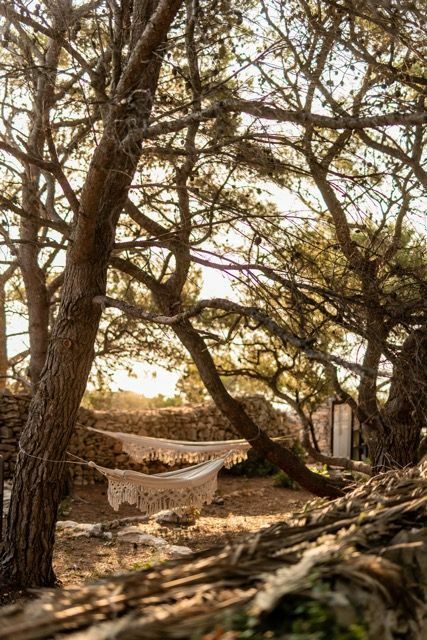 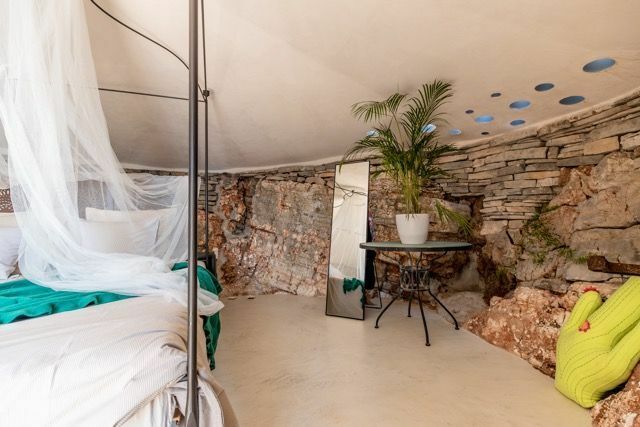 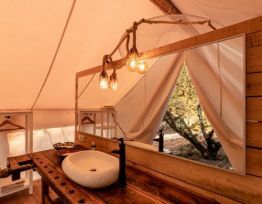 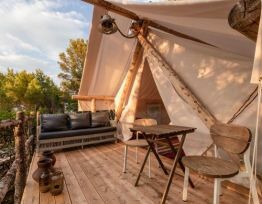 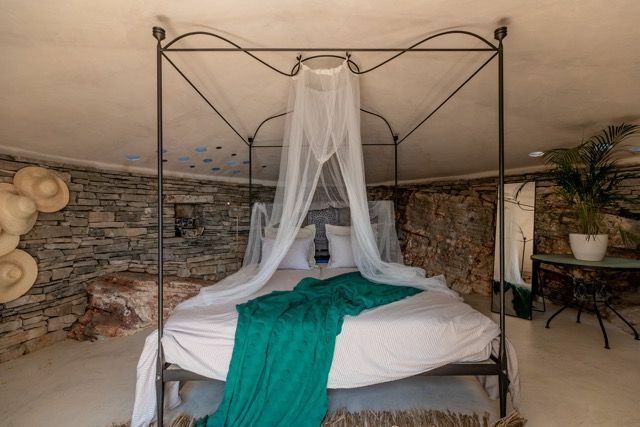 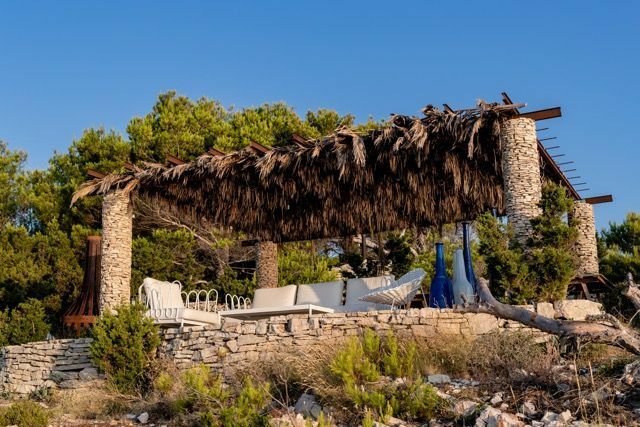 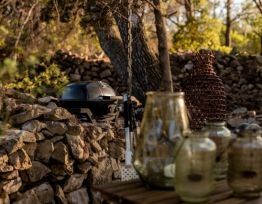 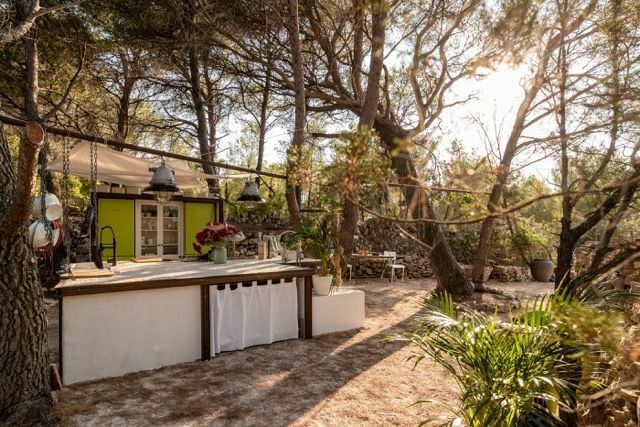 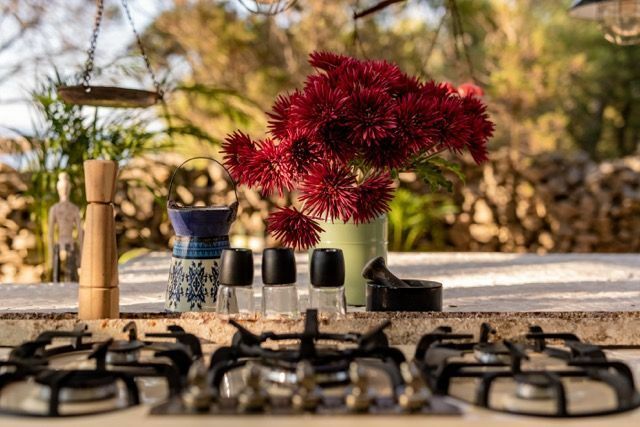 Glamping - Open space holiday home Plage Cachée with a garden and a terrace situated in Basina on the island of Hvar. 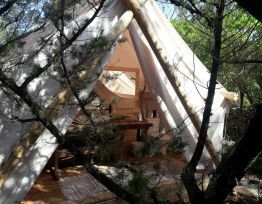 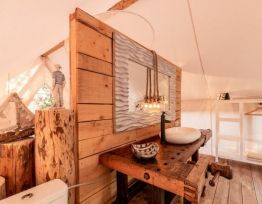 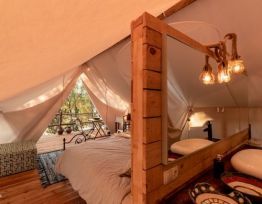 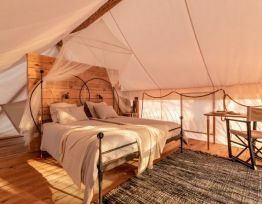 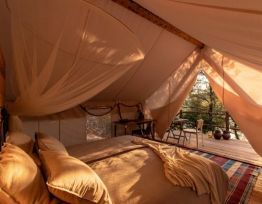 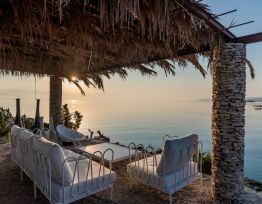 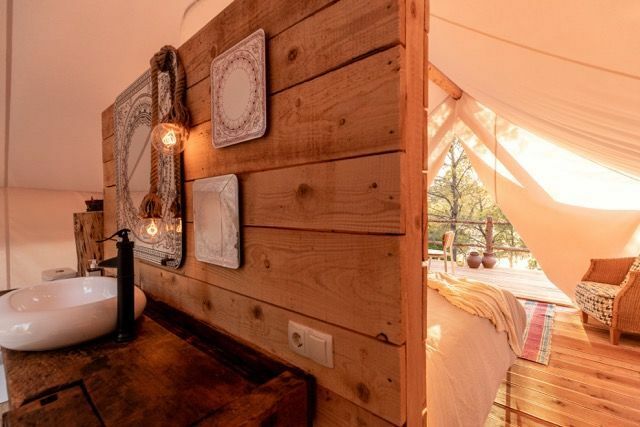 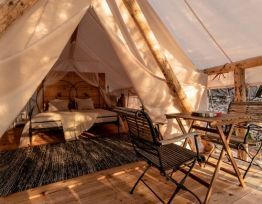 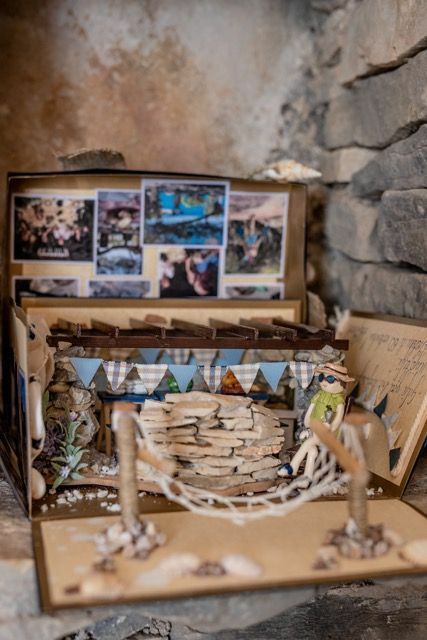 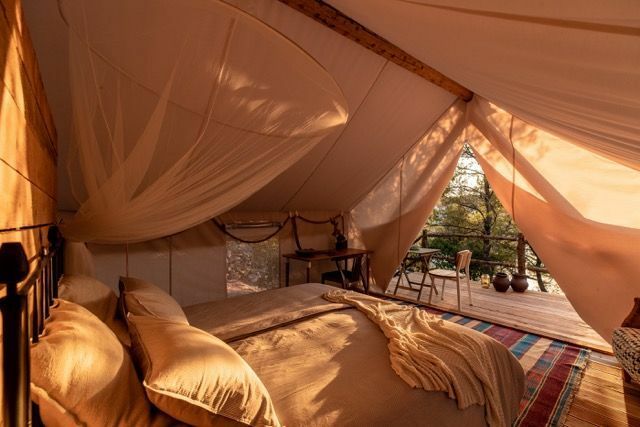 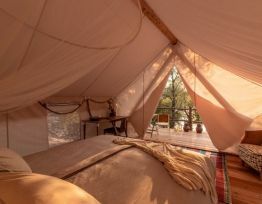 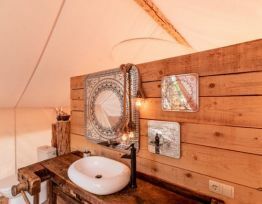 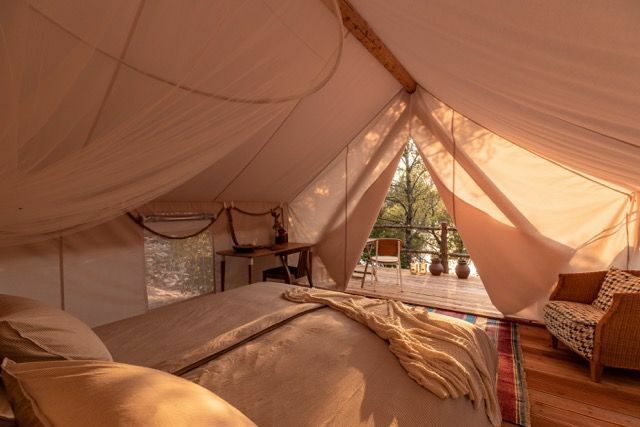 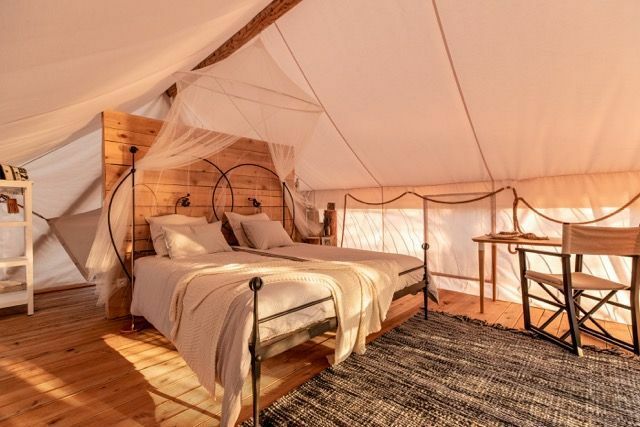 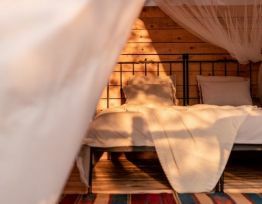 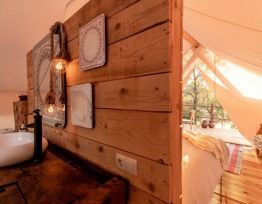 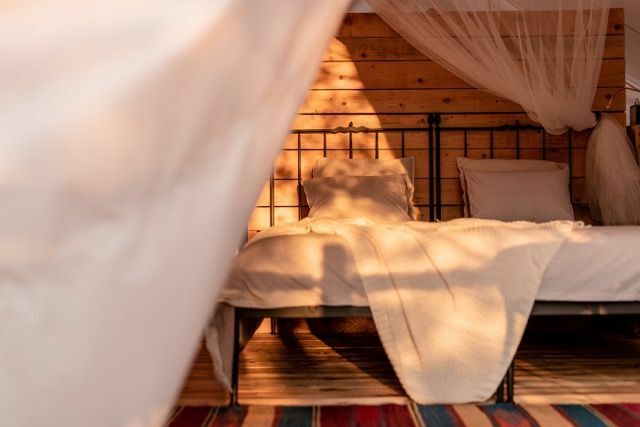 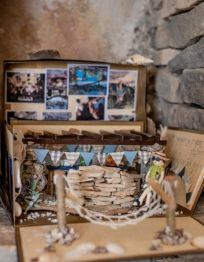 Glamping tents - open space holiday home beautiful accommodation in the untouched nature by the sea with its own beach. 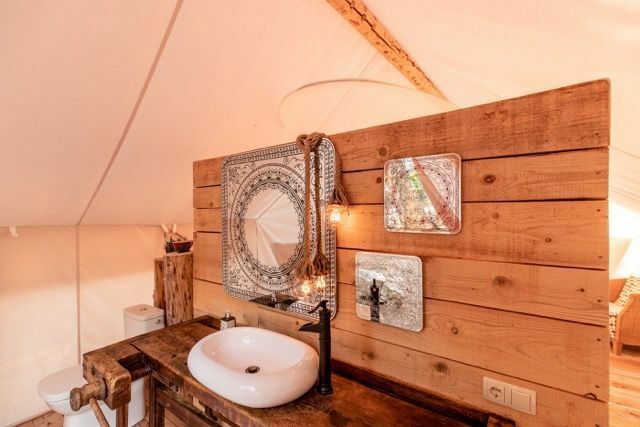 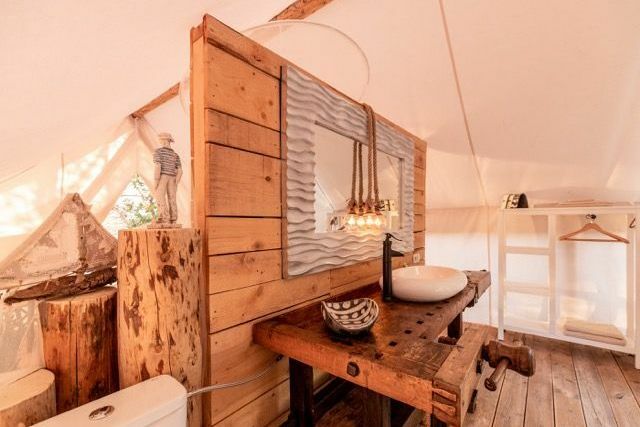 Plage Cachée - Glamping offers free WiFi.